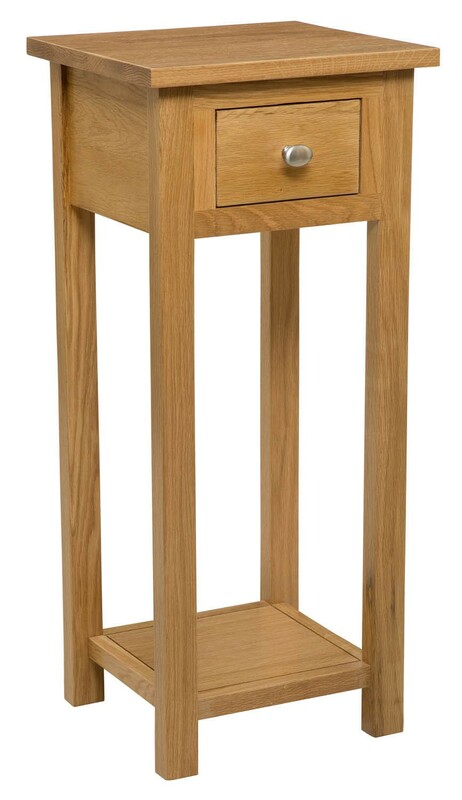 This small telephone table is perfect for small areas where access points are often located around the home. 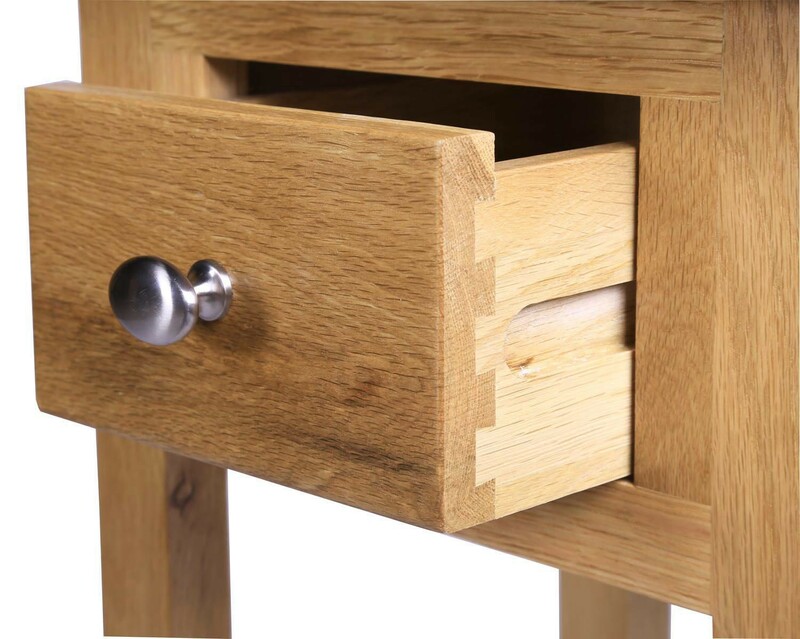 Crafted from solid oak, and featuring a natural lacquered coating, which both enhances the natural colouring of the wood and protects form light knocks and spills. 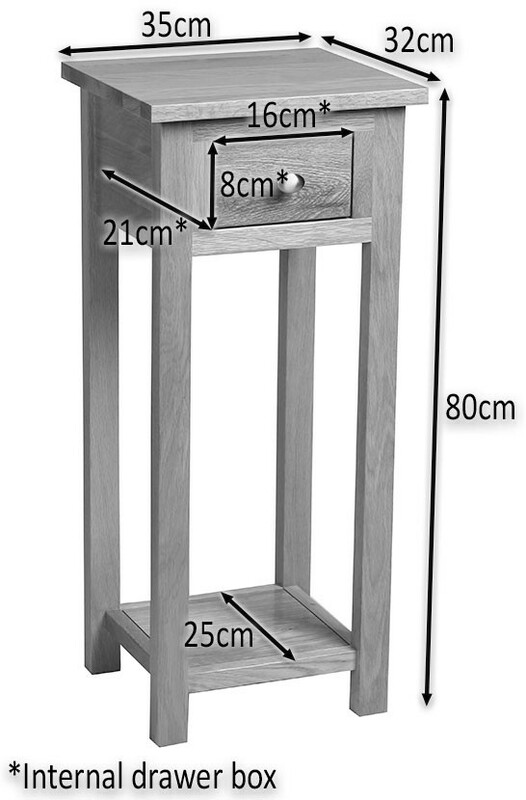 This tall table measures at 35cm wide and 32cm deep, meaning that it is a perfect fit for the areas behind chairs and sofas, in small corners or even as a bedside table. The table surface is large enough to hold a modern landline handset and holder, alongside a small lamp, notebook or beverage. 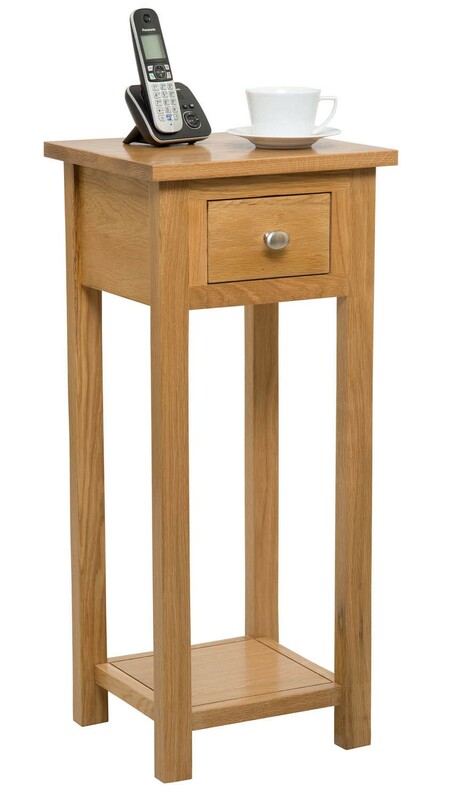 Below the op surface, the piece features a small drawer, ideal for storing a small address book, notebook or personal items such as glasses, pens and notes taken whilst using the telephone. The table is designed with sturdy legs and another shelf toward the bottom of the piece, this surface is ideal for holding a decorative sculpture, small electronic item, or even as a plant stand, to bring style and décor to a space which is usually designed for practicality alone. Small size to fit into difficult spaces and corners. Features a small drawer and shelf below for additional storage. 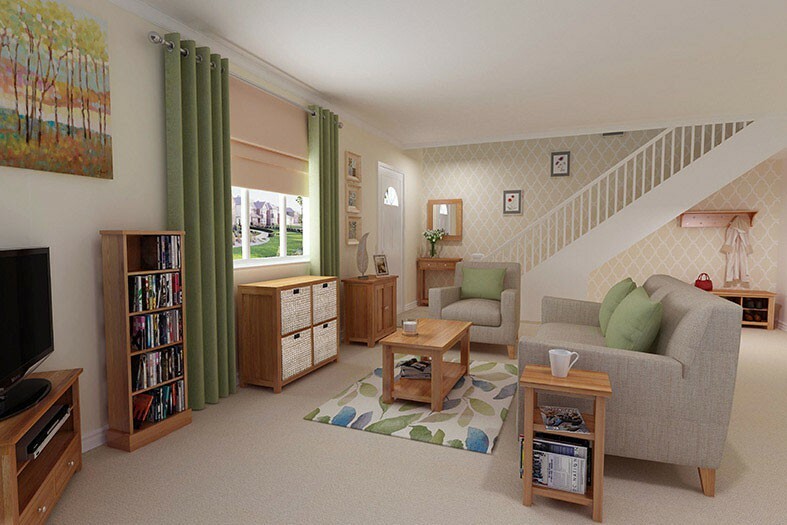 Designed with sturdy legs and frame for a longer life. Finished with a natural lacquer to enhance the wood's natural colours and protect against light knocks and spills.